Chinese New Year 2017 - The Year of the Rooster! 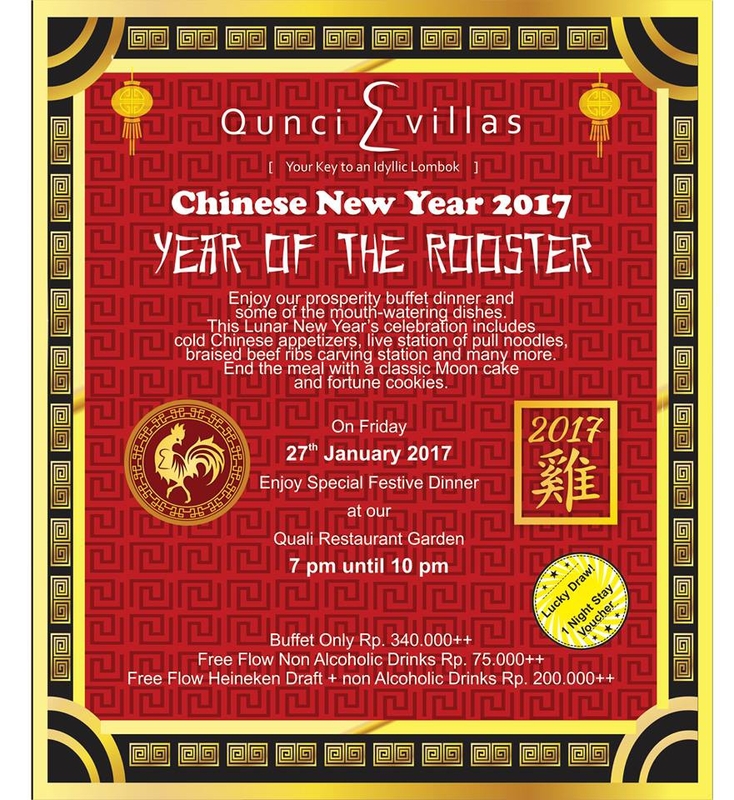 Come and enjoy the prosperity buffet dinner and some of the mouth-watering dishes for this Lunar New Year's celebration. And get a chance to Win a one night stay for two at Qunci Villas Hotel.